In lieu of flowers memorial donations may be made to American Diabetes Association or American Macular Degeneration Foundation and left at the funeral home. 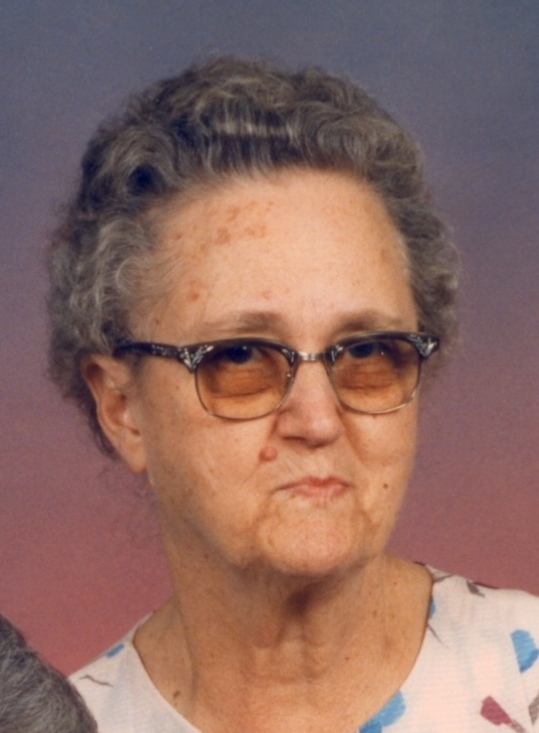 Eleanor Virginia (Jones) Purtle, age 87, of El Dorado Springs, Missouri, passed away September 7, 2011. She was born August 12, 1924, to Clyde O. and Lona M. (Hamilton) Jones near Caplinger Mills, MO, the eldest of three children. She attended nearby rural grade schools, and high school at Caplinger and Halfway. In 1946, she married W.H. “Doc” Purtle. Except for a brief time in Bates County, they lived in the Rookins area before moving to El Dorado Springs in 1961. They lost an infant son shortly after his birth, and later had a daughter, Janice. Eleanor was a homemaker, farm wife and a Godly influence in her home. Among her interests were sewing, crafts, gardening and canning, and in later years genealogy. She was preceded in death by her parents; her husband, W.H. "Doc" Purtle; her sister, Helen R. Purtle; and a brother, James Lowell Jones. Survivors include her daughter, Janice (Bill) Amick, and their daughter Kaitlyn; Helen’s children: Darrel (Carleen) Purtle, Glenda (Steve) Mays, and Lora (Milan L.) Bourland; her sister-in-law Leila Jones and her children: Brenda Miller, Trisha (Michael) Toth, Linda (Frank) Post, Randy (Julie) Jones, and Kim Jones; and many other relatives and friends. Funeral services were held on Monday, September 12, 2011, at 10:30 a.m. at Bland-Hackleman Funeral Home with a visitation from 9:30 until service time. Rev. Joe Trussell officiated. Burial followed in El Dorado Springs City Cemetery under the direction of Bland-Hackleman Funeral Home.